Will Avatar 2 Share the Same Fate as Alice Through the Looking Glass? Alice in Wonderland debuted in March 2010 and it took Disney remakes of their own films to a whole new level. It was the first of its kind to make $1 billion worldwide, and every live-action Disney remake since it has been struggling to duplicate its runaway success. Oz the Great and Powerful, The Lone Ranger, Maleficent, Cinderella, and others have all fallen short of the billion-dollar mark. It appears that 2016’s The Jungle Book will finally cross that threshold, though. Director Tim Burton was a still a hot property as a visionary filmmaker coming off a string of hits. 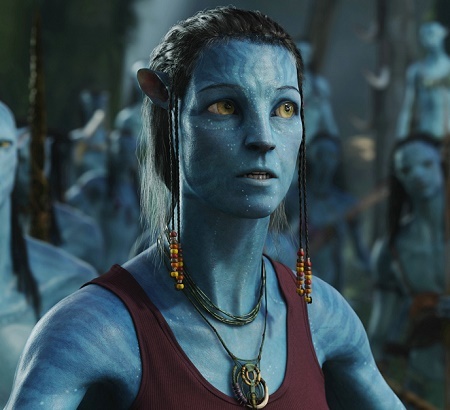 Beautiful CGI and 3D films were all the rage in the wake of the stunning success of a little film called Avatar. Ah yes, Avatar. I’ve made no secret of my disappointment in that film. Nevertheless, a sequel to Avatar has been in the works since the film debuted in December 2009 and smashed worldwide box-office records. But as of this writing, the first sequel isn’t slated to debut until 2018. That’s quite a disparity between sequels, even for James Cameron, who waited seven years between his two Terminator films. What does Avatar and its upcoming sequels have in common with Alice in Wonderland and its sequel? Quite a bit, as I hope to explain. 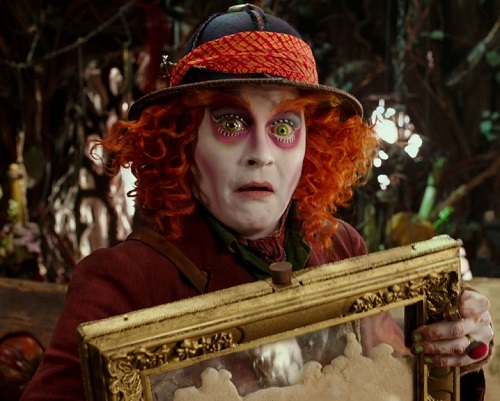 Alice Through the Looking Glass, the sequel to Alice in Wonderland, arrived in theaters a few weeks ago with a thud. It will be lucky if it earns a quarter of the original film’s $334 million domestic take and a third of its $1 billion worldwide take. That’s an astonishing drop-off for a sequel to a seemingly beloved film. It looks like Disney took the wrong lesson from the success of Alice in Wonderland. That film was a fluke. It wasn’t terribly good, but people were willing to overlook its flaws because of its amazing visuals. It turned a simple story into a Lord of the Rings­­-like adventure, complete with ancient prophecies and a climactic battle at the end. This same template was used a couple of years later in Snow White and the Huntsman, which was also a shockingly successful film, despite how terrible it was. It’s appropriate that Alice Through the Looking Glass should come out so soon after The Huntsman: Winter’s War also bombed. This type of gimmick is clearly wearing thin. Tim Burton didn’t direct the sequel, and even attaching him to the project as an executive producer didn’t help much because his track record since Alice in Wonderland has been pretty weak. Johnny Deep’s star power is waning with one bomb after another weighing heavily on his ability to carry a big-budget film. 3D films have lost their novelty. This could spell trouble for the Avatar sequels because of these same factors. Writer/director James Cameron hasn’t done anything since Avatar. At least after Titanic he kept busy making documentaries and a TV show. Actor Sam Worthington hasn’t exactly become a household name, though Zoe Saldana has done extremely well for herself, co-starring in the rebooted Star Trek film series and the unbelievably great Guardians of the Galaxy. Let’s face it, Avatar was sold on its beautiful visuals. It didn’t have a very interesting story to tell or compelling characters to invest in. It was just the first modern 3D film to provide such an immersive experience that audiences were able to forgive all of its flaws. But are people going to show up in droves the way they did for the first film? I doubt it. Of course, even if Avatar 2 made just one-third of the original’s gross it would still earn $900 million worldwide. So even though it’s unlikely to come close to the first Avatar, it won’t be a failure. It’ll earn plenty of money to justify all of the other sequels. But if it’s not a game-changing sequel (like The Empire Strikes Back or The Dark Knight), but just a so-so effort (like The Matrix Reloaded or RoboCop 2), its follow-ups will see even faster diminishing returns. I hope Avatar 2 will be good. But I have a feeling that Alice Through the Looking Glass offers an unpleasant glimpse into that film’s future. This entry was posted in Random Stuff and tagged action movies, alice in wonderland, avatar, CGI, disney, fantasy, films, james cameron, movie review, movies, movies based on books, science fiction, sequels. Bookmark the permalink. 4 Responses to Will Avatar 2 Share the Same Fate as Alice Through the Looking Glass? Nice article. I agree with just about every word you said. I am disillusioned with CGI, 3D wizardry. It just can’t replace the value of a good script with characters who blend uniqueness and enough qualities to which the audience can bond. Thank you. I’m really glad to see the cows coming home on this fad. Studios are beginning to see that they can’t coast primarily on good special effects. It’ll probably take a few more dud sequels to films that made way more money than they deserved in order to get this message through. But we’ll get there eventually. Hmm I don’t think they are at all comparable since Alice was sort of a fluke and no one really knows why it did so well. Global audiences loved Avatar and it is definitely still anticipated (even if critics weren’t entirely impressed). James Cameron has basically dedicated the rest of his life to making the world of Avatar a reality. Whether you like his Avatar franchise or not, I don’t think there’s any chance it will be swept under the rug. I guess we’ll see. I think James Cameron has finally run out of good ideas, which is why it’s taking him so long to finish scripts for the sequels. By the time they start to come out, I just don’t think audiences will be all that interested in returning to a vacuous yet beautiful world.